Michael Phelps: Push the Limit for the Kinect isn’t your typical Kinect game. You’re not going to be dancing, or exercising, or playing crappy minigames with animals that may or may not be fake. Nope, instead of making dirty gestures to tickle some adorably stylized baby tiger, or moving your two left feet to get in some kind of rhythm, Michael Phelps: Push the Limit has you flailing your arms about to emulate swimming. 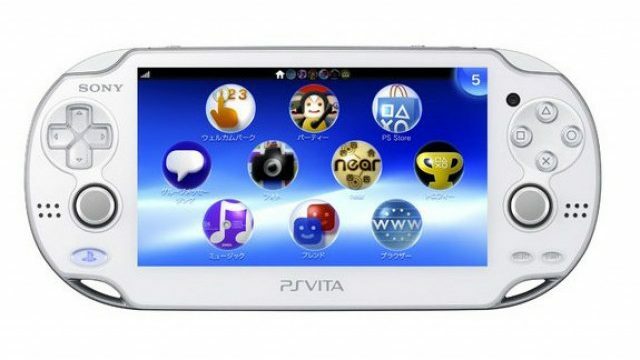 …Okay, so it’s not that different from other Kinect games, but will it actually provide you with some semblance of fun? The answer is an emphatic no. I got to play this gem at 505 Games’ room at E3, and while the premise sounded somewhat fun, it just falls way too short of my massive expectations to have left a positive impression on me. 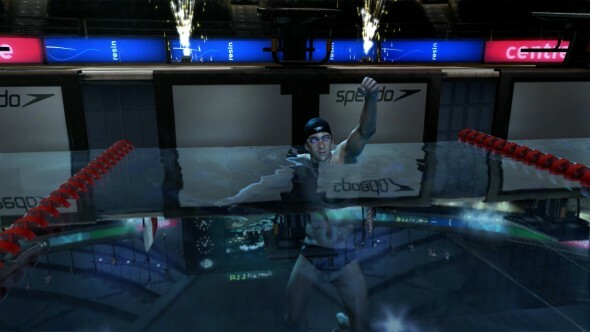 Push the Limit has you starting off as some scrub and working your way up to the top, eventually facing off against the freaky human-dolphin hybrid himself, Michael Phelps. I like the angle, even if it’s a little unoriginal; I mean, hey, if the gameplay is great, who cares about the plot, right? Too bad the gameplay falls flat as well. I swam competitively for three or so years in high school, so I’d like to think I’m well-versed enough in the sport, and despite the fact that swimming is a full-body affair, Push the Limit concentrates solely on the arms and their movement. You’re not going to be frog-kicking during the breaststroke, or dolphin-kicking during the butterfly. You’re just rotating your arms approximately how you would be if you were in the water. If you think it looks as dumb as it sounds, you’d be right. I tried my hand at the freestyle event, and when you’re swimming, you’re supposed to make fluid rotations in sync with the rhythm, which is displayed in the middle of the screen. Too fast or too slow, and you’ll flounder around in the pool as if you just suffered a stroke. What’s worse is that good “real life” swimming form doesn’t translate well to good “vidjagaems” swimming at all. As someone who swims and/or surfs at least every other day, I’d like to think my paddling skills are efficient, technical, and overall pretty damned sexilicious. In Michael Phelps, my amazing form was actually making me go slower, so I switched to something more unorthodox (think “zebra panicking in the water after being assaulted by a crocodile”) and I started winning. It doesn’t help that the latency inherent in the Kinect was causing my rhythmic adjustment to go way off. The gauge onscreen was clearly a second behind in compiling the speed and frequency of my strokes, and it was seriously messing with my ability to own in the game. I wished Push the Limit would have been more technically sound; just a little bit more polish, and it would have been a great drunken party game, even if it’s likely that someone would’ve been blinded while “swimming” butterfly. If you can tolerate the latency and inaccuracy, by all means grab this one; with online multiplayer, relay races, and what looks to be a hefty career mode, there’s still a decent amount of meat behind the game. The only question is, are you willing to deal with the stringy muscles and tendons embedded within the steak to get to the juicy juicy filet in the middle? 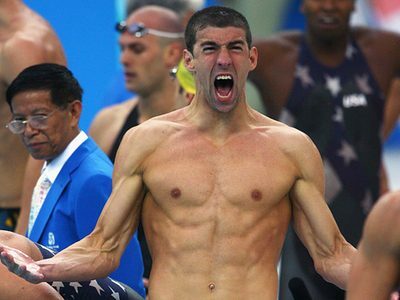 Michael Phelps Kinect Game Coming. Seriously.